On emergent organization designs, future of work, and the impact of the digital era..
Today, the very definition of organizations has changed. The impact of digitization is going far beyond a few collaboration tools and platforms. Today’s organizations are no longer defined by fixed workplaces, nine-to-five working hours or even a set of homogeneous employees. Organizations have become boundary-less and often, location agnostic and virtual. Operational and business models have been turned on their heads with the advent of enterprises like Uber, Airbnb, Etsy and Amazon. And no industry is immune to this disruption — from education to retail, from healthcare to hospitality — the old business models are being rapidly upended by new ones. These paradigm shifts are causing wide-scale disruption in our personal and professional lives, and reflect an urgent need to rethink and re-imagine the organization in order to embrace the potentials and affordances offered by the digital era. This is not merely about implementing a few collaboration tools or putting in place an Enterprise Social Network (ESN) with the diktat to “collaborate”. It requires a complete re-imagining of how business gets done. Organizations have to integrate the power of design thinking and emergent technology to create spaces where everyone can bring in their fullest potential and authentic selves. Going ahead, organizations of the future will possibly function as Transformative Communities connecting diverse, distributed and multi-talented individuals who will come together to move toward an Evolutionary Purpose. The need for organizations to function as communities of passionate and purpose-driven individuals is becoming even more critical in the face of unprecedented upheaval being faced at local, global and planetary levels. Top down, hierarchical, command and control organizations just do not have the agility or the resilience to meet the needs of today. As the world becomes increasingly connected and networked, it calls for organizations that are equally connected, decentralized and self-organizing. An organization’s communities today cannot be restricted to its internal employees but would extend to include contractual and contingent workers, partners, vendors and suppliers, and also customers and competitors — the extended enterprise. I would also add the Planet and all sentient beings since every decision taken has a ripple effect with the capacity to impact millions far away from the origin of the organization. For example, the massive expansion of palm oil plantations in Borneo and Sumatra are directly threatening the survival of orangutan population in the wild. We are all well versed with the Butterfly Effect. Hence, this “extended enterprise” is as critical to the sustainability — nay, the Thrivability — of the business as any direct employee/shareholder. It’s no longer enough to build an organizing that survives or is even just sustainable. The former implies a closed view/self-focus and the latter implies an organization that is just maintaining itself. A thrivable organization is anti-fragile, holds space for emergence and creates opportunities for the thriving of others, and flows with the change. A lack of Systems Thinking and understanding of Complex Adaptive Systems coupled with the desire/pressure for limitless growth have led organizations toward the kind of tunnel vision which has collectively led us to a place no one wanted to reach. I am emphasizing on organizations becoming communities because communities allow us to tap into Collective Intelligence from a diverse pool of people without the constraint of hierarchy, permission and rigidity. To be an evolutionary and purpose-driven organization and to engage in situations we do not have a roadmap for, it is important to seek/curate collective intelligence. However, the underlying business processes, managerial strategies, and workplace protocols still adhere to mechanistic, Industrial Era paradigms with performance, speed and bottom line being the drivers. These lead to short term thinking, repeating of past patterns, loss of innovation, frustration and burnout, and a joyless work environment. Viewing an organization through the lens of a machine and people as cogs worked when the world was predictable, change happened very slowly, lessons of yesterday became best practices of today, and assembly line production ruled the day. Gone is that era. The 90’s brought the term VUCA into our consciousness. And the last decade has seen a veritable tsunami of change. Technology is taking us to a world that is science-fiction-like in its possibilities. But everything will come to naught if the patterns, mindsets and underlying consciousness guiding us continue to remain static. Our organizations today are still using old maps while the landscape has dramatically shifted. Unless we are cautious, we will run the risk of using technology to amplify and empower old systems and processes (faster production, greater efficiency, higher bottom line) while the organization gradually becomes less human, and we come face-to-face with our own Frankenstein. As we lose our humanity to the glitzy appeal of speed and technology, so will we lose our interconnectedness with each other and all sentient beings. The power of technology is immense. The choice is ours — whether we use it to amplify our humanity and connectedness to each other and the planet or we use it to further short-term profits at the cost of humanity and all sentient beings. In the next post of this series, I have explored some of the core competencies required to hold space and thrive in the face of uncertainty and ambiguity. Neurosis is the inability to tolerate ambiguity! The dictum that we are living in a VUCA world has become so oft used as to lose all its essence and meaning. Nevertheless, it is the truth! The pace of change has exceeded anything that we may have imagined creating a strange kind of almost existential tension. As robots enter our lives, Alexa, the voice controlled speaker from Amazon goes mainstream, driver-less cars cease to be a science fiction marvel, and many more digital wonders invade our day-to-day existence to forge a completely different meaning of life and living for many of us, Uncertainty and Ambiguity loom large. Our professional and personal lives are suddenly taking on whole new shapes we had not remotely envisaged. Should we cower in fear and scuttle into our shells, or venture forth courageously wearing the hat of a curious explorer? Well, the corporate world is trying hard to gear up for this unknown monster called VUCA. But how does one "plan for ambiguity"? There are a few things we know about ambiguity; it is one of the leading causes of conflict within a business unit, impossible to diagnose from a singular perspective, and its second- and third-order effects are capable of dismantling an organization. The description is apt enough. And perhaps also encapsulates the key reasons why we fail to thrive in an ambiguous environment. It's mostly the third-order effects that dismantle organizations. And it happens because organizations forget to listen, collaborate and remain true to their purpose. More on this later in the post. IMHO, one cannot plan but stay prepared to flow with ambiguity, play with ambiguity, immerse themselves in it. As I pondered this rather obvious point, another question raised its hydra-like head. Life in general is fairly ambiguous. Yet, we flow with it. Children thrive in ambiguity. They are the quintessential explorers of the unknown, Columbuses of their own little worlds. They instinctively know the mantra to thrive in ambiguity; it's called PLAY. And from play comes learning; and from learning emerges their new realities. We go to design schools to learn about design sprints and the art of prototyping. Children build and break sand castles at will, destroying their own creations to come back and build again. Unfazed, unafraid! They are the quintessential prototype masters. It seems so effortless when we are children. Then we grow up. We pass through the hallowed portals of many institutions that groom us, drill us, train us, teach us, test us, score us, and if they are successful, we come out as well-trained, homogeneous set of professionals. The unruliness has hopefully been ironed out. Hopefully, the curiosity has been dampened and the disruptive thoughts suppressed. We are deemed ready for the corporate world. And our collective ability to deal with or thrive in ambiguity has diminished! The corporate world thus far has thrived on processes, planning, and power. Ambiguities have always been ironed out, and quarterly and yearly projections and targets have been decided in advance. Top down cascading of goals have been the order of the day. Everyone has to merely follow their part of the goal, and rarely do those in the bottom few rungs know the big picture. The chain of command kept everything running seamlessly. The well-oiled machines of the corporate world ran beautifully sans ambiguity in the Industrial Era. Then came the Internet, the social web, and the digital revolution with its Cloud, IoT, 3D printing and robots. Borders and Kodaks vanished. AirBnB's and Ubers cropped up. From Telling to Listening: The corporate world so far has thrived on telling its internal employees and its customers what to do, what to buy, and how to be. It has -- for the most part -- been a one-way monologue of laying down policies, stating rules, and selling the benefits of their myriad products and services. Then, the advent of the digital revolution turned everything on its head. Consumers became more powerful than the producers. Listening and sense-making became more important than telling. Social platforms democratized knowledge and organizations found it increasingly difficult to hide behind a facade of processes and policies. In an ever-changing and ambiguous environment, organizations that did not listen, missed the bus. They became completely irrelevant and failed to deliver what customers -- both outside and inside -- were clamoring for. They caved in and vanished. Organizations that listened reinvented themselves. And new entrepreneurial orgs appeared with an ability to tap into the unspoken, unimagined and unmet needs of the customers. They had listened! Deeply! A case in point is Uber which has not only disrupted the cab service industry but will also impact the automobile industry. Today, I see no reason to own a car with Uber at my veritable fingertips. From Profit to Prosperity: When we take stock of the last twenty years, we see amazing innovation and growth along side mayhem and destruction ranging from war to collapse of economies. We see the iconic rise of the likes of Malala Yousafzai with the rise of political demagogues. And we also see a collective rise of a different consciousness that wants larger social good. We see In this world of chaos, even as organizations struggle to make profit the traditional way, the call to move towards purpose and prosperity. Today's employees -- the millennials -- and customers are asking for more than profit. They are asking for purpose, for prosperity. I define prosperity as overall well-being -- of the self, of the organization, of the community, society and the planet. 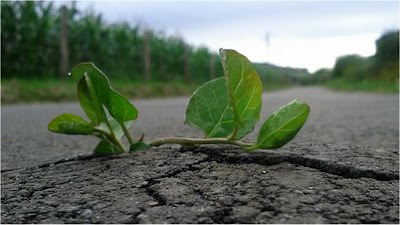 Driving top line and bottom line have brought us till here; but it is unlikely to get us much further. The need and cry for a more holistic and purpose-driven approach to how organizations operate is fast becoming a movement. From Market Share to Mind Share: As challenges become more and more complex, large scale and global in nature, collaboration will have to move from individuals to whole organizations. I am not talking about partner organizations working together, but generative organizations who share their learnings freely for other organizations to replicate and apply. The reason I say this is because, IMHO, profit will no longer be about market share. It will be about prosperity and mindshare, about enabling deep changes. Organizations today are on the cusp of change too... Just as we moved into the Industrial Era and a whole new breed of organizations and corporations were born, we are again at another cusp. The old world is dying and the new is waiting to be born. Organizations that can step into this new world authentically and fully will be the ones that will capture the mindshare of the human race, bring about deep and profound economic and social changes, and give birth to a completely new world order. It may not happen everywhere at the same time, but it is sure to happen. The world is ready for it. And this revolution will be more profound than the invention of the printing press or the electric bulb. It will change the nature and order of human relationships. Coming back to what I started the post with -- ambiguity and its relation to the shifts. If we agree that ambiguity is the order of the day, it becomes clear why we need to listen deeply to remain relevant, to let emergence happen, and move towards creating a better world. Ambiguity cannot be resolved through telling; it needs to be heard to be comprehended, for the hidden patterns to emerge, and for the unspoken to become felt needs. Ambiguity cannot be dealt with in parts. It has to be explored from divergent perspectives, through different lenses and heuristics, and felt in its entirety. Hence, a top down, hierarchical organization where information is filtered through the chain of command is especially ill-equipped to thrive in ambiguity. Only when the unspoken and tacit patters are seen, sense making happens, and emergence takes place. And emergence leads to those seemingly small but powerful innovations and practices that disrupt the established order of things. And I'm sure many more Ubers and Airbnb's are waiting round the corner, ready to erupt and disrupt. Back after a long and deliberate break from blogging! Probably my longest thus far... Looking forward to writing and conversing with my community once again. A couple of days back, I came across the article, The Scientific Reason Why Setting Goals can Backfire in Inc written by Rohini Venkatraman Replete with relevant data and insights, the article calls out the dangers of specific goals (SMART goals) which were and still are the darling of the corporate world, especially with the advent of MBO (Management by Objectives). Goals are cascaded down or rolled up, as the case may be. Individuals are measured against the goals achieved or not achieved (as per the manager/reviewer). The Bell Curve's existence depended on goals and still does. Organizations made and still make goal-based and goal-driven quarterly plans. This trend or practice is propelled by a strong desire to keep a control on the outcome, ensure stock prices rise, shareholders are happy, and predictability reigns. However, we also know that "predictable” jobs will be the first ones up for automation and robotization as Martin Ford mentions in his book, The Rise of the Robots. This process of setting goals and going all out to achieve them work very well when a large part of the external ecosystem is predictable or changes at a pace that does not have an immediate and drastic impact on the work being done. Like it was for the past fifty years till the advent of the World Wide Web, ubiquitous connectivity, and SMAC (Social, Mobile, Analytics and Cloud). And now we are entering the age of Robotics, Artificial Intelligence, and Chatbots. The coming of the digital world is changing organizations and the nature of our work at unprecedented speed. Predictability is giving way to ambiguity, uncertainty and volatility. In this context, trying to pre-define rigid goals can only lead to disaster and to being blindsided, as Rohini Venkatraman very aptly points out in the article. Does that means we strike the death knell of Goals just as many organizations are doing or have done with the Bell Curve? IMHO, perhaps not! What we do need is to be aware of the dangers and the downside of rigid goals and creating a reward-structure based on stringent goal adherence. Authors of the Harvard Business School working paper, Goals Gone Wild, mentioned that the “systematic downside of goal setting has been disregarded for a long time”. This could perhaps be because setting goals and chasing them are easier than exploring and staying with ambiguity, learning on the go and remaining open to multiple and emergent realities. The challenge is exacerbated by the fact that most management schools excel at churning out command and control, bring predictability to the unknown, harness and leverage all resources kind of a mindset as opposed to exploration, staying curious, and collaborating to solve complex challenges. In a world of wicked problems, complexity and emergence, rigid goals do more harm than good. Without the leeway to browse and explore, under pressure to deliver impossible targets against a deadline, the best of leaders turn into efficiency-driven, blinkered project managers. And the outcome can often be missed opportunities, rising frustration, and even the downfall of the business should the trend continue long enough. The question then is, what is the formula for success in a volatile and complex world? Is there a formula at all? 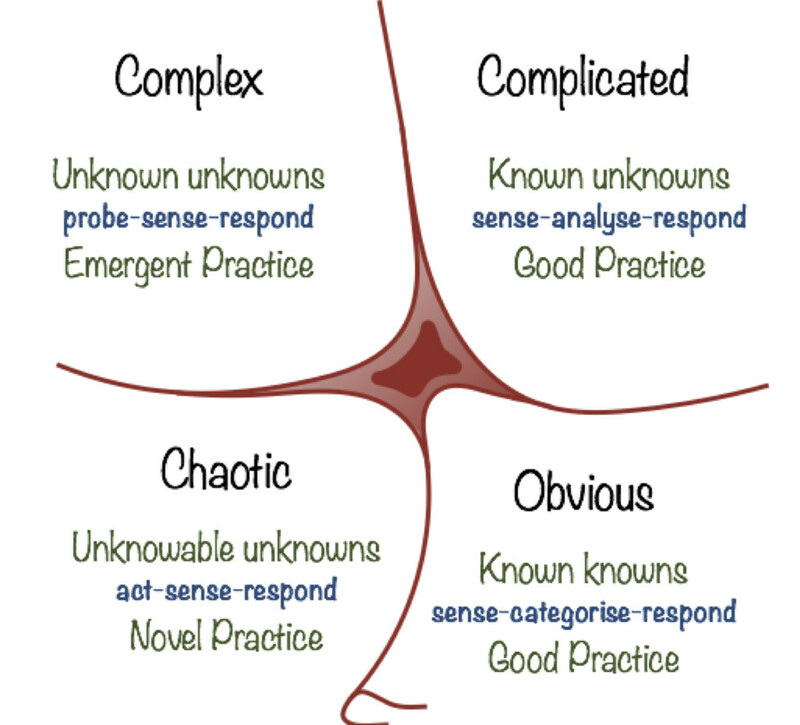 Let’s take a look at the Cynefin framework as a point of reference. In the Complex domain, it is evident that practices are emergent and ambiguity rules. Specific goals give way to an overarching outcome. The current world we operate in falls in the complex domain. Against the backdrop of this shifting paradigms where the known is replaced increasingly by unknown unknowns (as seen in the Complex domain of the framework), goal setting can often be a futile exercise. Defining or envisioning one or more desired outcome, getting everyone involved, and enabling collaboration among groups of cognitively diverse and skilled individuals may be the route to get work done in this era. The critical question to ask then is, “If goal setting is not the way forward, what is”? I do not have the answer but I have attempted to provide some alternatives to goal setting in this post. The nature of work and projects are changing. Work will increasingly get done by a set of dispersed and distributed individuals who are experts in their own space/field, and are cognitively diverse from each other. This set of individuals will likely come together within an organization to form a project team (much like a movie team comes together) and disperse once the work is done. They may also be individual freelancers coming together to complete a project bringing their expertise to the table. These individuals are not likely to be driven by rigid goals set by someone somewhere unknown to them. They will work in a collaborative manner very akin to a closed community to deliver a project outcome (in the manner of Wikipedia and Linux). As we move forward, projects and outcome desired will become increasingly more complex requiring cognitively and creatively diverse individuals to come together to deliver value. Goals will be set around the project rather than at an individual level. The success of the project will signify success for the team. An organization that fails to foster an environment where such communities can come together will very likely flounder. And those that enable such communities will innovate and thrive in the VUCA world. Can kill exploration -- Predefined goals often block the ability to see around it, especially in times of stress. Yet, it is during the most challenging times that we need to see beyond the obvious. Often, an overly narrow focus can be detrimental to innovation and can lead to missed opportunities. Most of the well-known innovations of our time came from tinkering around and perhaps failing at some seemingly important task (remember the Post-It Notes!). An over-emphasis on goals can also take the joy out of the process, the journey towards achieving the dream. Can reduce collaboration –- When individuals are driven only by their own goals, a culture of competition sets in. Furthermore, when bell-curve like performance management systems rule, adhering to and meeting one’s goals become even more critical often to the detriment of the overall organizational culture. This leads to a very common syndrome seen in organizations where everyone has apparently done what they had set out to do, but the client is not happy or the project outcome is not what it should have been. The whole somehow becomes less than the sum of the parts. Can reduce intrinsic motivation -- Goals, when rigidly defined, can reduce intrinsic motivation. The latter arises out of a combination of autonomy, mastery and purpose (as defined beautifully by Dan Pink). Stringent goals -- especially when set by someone else -- lead to reduction in inner motivation although external milestones may drive the person for sometime. But an over-fixation on goals can make people lose sight of their passion and purpose. Goals definitely have their values. But in a complex and changing world, enjoying the process, developing skills like pattern sensing and a learner's approach is of greater value. Communities sit at the intersection of a number of trends; social media, digital transformation, a generational shift to prioritize purposeful work, the future of work, change management, leadership and social learning. This is one of the most inclusive descriptions that captures the various threads and reasons for building communities in organizations. Yet, this is where organizations are struggling. In this post, I want to explore a few reasons for this struggle. I have written before about the fallibility of trying to have social learning as a bolt on strategy, on the role of social technology as an avenue for building communities in organizations, and the importance of building communities to facilitate emergent learning. 1. Proliferating Platforms - Organizations, especially large, globally distributed organizations suffer from what I call the "unconscious silo syndrome". Most often, the inadvertent unawareness of what is happening in the rest of the organization give managers, decision-makers and other employees a feeling that "we are the new age torchbearers" and once it works in this team/project/business function, the initiative can be taken to the rest of the organization for an enterprise-wide implementation. Needless to say, it is human for all to want a bit of fame that comes with being the trendsetter and a possible organizational visionary. In reality, this leads to pockets of experimentation and duplication of effort without a holistic view of or alignment with the organizational strategy and business goals. The result is of course a less than desirable state of platform overdose, and an amplification of the offline silos onto a now online medium. "...we saw no successful transformation happening bottom-up. Instead, executives in every Digital Master steered the transformation through strong top-down leadership: setting direction, building momentum, and ensuring that the company follows through." 3. Policy-Driven Paralysis - When a decision is made to embark on a community and collaboration journey on the duly selected enterprise collaboration platform, organizations become suddenly fearful of all the possibilities of information leakage, open expression of sentiments by irate employees, sharing of sensitive and politically incorrect information, and so on. The reaction is to begin by creating guidelines and policies trying to encapsulate and articulate everything that employees cannot and should not do on the platform. The result is anything but inspiring or conducive to open collaboration. It is akin to tying people up in chains and then expecting them to do a tango. IMHO, it is time to let go and show more trust in the very employees that the organization has selected through well-defined recruitment and interviewing processes. 4. Collaboration Conundrum - While we keep hearing the impending death knell of the bell curve, the truth is that a large percentage of organizations still abide by it for various reasons - lack of another system, familiarity syndrome, alignment of business and operational processes, management capability (or lack thereof in handling a new way of appraisal), HR and leadership lethargy, and more. The result is the creation of a tension between a competitive and a collaborative mindset. To be absolutely honest, it is very hard to be collaborative and share openly if an employee knows that s/he will be judged and measured against their peers when the appraisal time comes around. It is difficult for a manager to justify and facilitate open collaboration, and then do a rank and yank to fit a designated set of high-performers in the bell curve. And woe betide the manager who has too many high-performers and collaborators in his/her team. This false system of forced ranking eliminates collaboration, creates a sense of scarcity over abundance (be it for a specific rating or that prized project), and turns team members into opponents. Bye bye communities and collaboration! 5. Leadership Detachment - Many a times, something as critical as the building of a collaborative culture and thriving communities are left to the HR and L&D departments to drive. It is posited as "let's see if collaboration & social business works because everyone is talking about it". Senior leaders and C-suite members feel they are too time constrained to dabble in activities like communities when issues of graver import like shareholder profit, top line and bottom line figures, M&A's are awaiting their attention. However, the reality today is that without a connected, collaborative and resilient organization, all other strategy is likely to fail. Times of intense change and ambiguity as we are living in today demands collaboration and a strong leadership who will walk the talk. 6. Dearth of Digital Skills - It is not that people do not know how to tweet or post pictures on Facebook or create a Pinterest board. IMHO, digital skills go beyond the common activities that almost everyone with a smart phone can indulge in today. Digital skills are closely related to a digital mindset, which I define as "the ability to understand the power of technology to democratize, scale and speed up every form of interaction and action." Very often, organizations -- this includes employees, leaders, managers, and everyone comprising the ecosystem -- lack this inherent capability of using technology to facilitate the building of PLNs (Personal Learning Networks) and communities. Digital skills include capabilities like working out loud, pattern sensing, sharing and connecting openly to develop a rich and diverse PLN, collaborating with a defined purpose, using technology with an awareness of its potential to promote self-driven learning, democratization of information, and so on. This mindset requires a degree of comfort with ambiguity, willingness to make mistakes, adopting a beginner's perspective, welcoming of diversity, and a willingness to learn from all possible sources. Designing courses is passé! In a world where the shelf-life of knowledge and skills are rapidly shrinking, where best practices of yore yield increasingly little or no return on investment, where exceptions are the norm, and constant change and flux the new normal, designing set courses using SME-defined content is like trying to build a dam to rein in the surging waves of a tumultuous ocean. We have to think agile, instant, accessible, contextual, micro-sized, real time… We need to uberize organizational learning. “Uberization” has taken off as the new term that according to me has come to stand for – disruption, innovation, lean operating model, harnessing of the affordances of the sharing economy, and a hyper-connected world driven by imagination and creativity where everything is a mobile-click away – including learning. I agree that’s a string of nouns and adjectives and sounds like I have thrown together a set of buzz words. But it’s not. If we do a bit of Googling, we’ll see the term cropping up in every conceivable context with posts talking about Let’s Uberize the Entire Economy to The Uberization of Money. I am taking uberization more as a concept that encapsulates the characteristics listed above and, IMHO, L&D has a lot to learn from this. The concept of uberization is shaped “by combining smart-phone connectivity with voluminous real-time data on supply and demand”. Let’s pause a bit and think what this would mean to the L&D world in any organization. I’m not getting into the economics of how Uber operates; however, it is worthwhile to remember in the L&D context that Uber owns no “assets”. Agility and pull lie at the heart of uberization. Users – with a single tap on the app – can get a ride. Uber taps into existing resources providing people – both the suppliers and the buyers – with a platform to connect. The economy of “surge pricing” defines the cost. Whether that is good or bad is beyond the purview of this post. So, what do I mean when I talk about uberizing workplace learning? And what role does L&D play in the process? None of these will happen if we continue to sit in our isolated ivory towers designing courses, managing training calendars and count the number of days of training we have delivered to each employee. Business can and will ask, “So what?” We have to get out there, get our hands dirty, talk to business, read the company’s Annual Report, and figure out what is happening on the business front. I wonder how many L&D folks go through Annual Reports and Balance Sheets; however, this is where the crux of business can be understood. And whatever impacts business should and must impact how we function. Against this backdrop, technology is providing us with an opportunity to re-imagine and redefine workplace learning and our role as business partners, thought leaders, and change agents. Here are a few things we can start doing immediately using Uber as inspiration, if we are not on the path already. Take a mobile-first approach – Just as a ride is a tap away on the Uber mobile app, make learning just as accessible and instant. Users are increasingly expecting all interactions to happen via their mobile devices. Learning is no exception. Just as the Uber app allows a user to track the route, a learning app should allow the users/learners to see their learning roadmap personalized to their role and growth path. L&D’s focus needs to shift from designing one-size fits all courses to consulting with individual learners, their managers and HR, and carving out learning roadmaps for them. By making what matters to employees available on mobile devices of their choice, we can remove multiple barriers and enable them to pull what they need to traverse their learning journey. We can take a leaf our of platforms like Udemy or Coursera that offers a gamut of courses – all accessible via an app. Today’s workers expect a similar integrated experience – the freedom to pick and choose what they want to learn, where and when. Build communities – We are in the midst of the sharing economy which is all about open data, user-generated content, crowd-sourcing, shared value co-creation, collaboration, and more. It is no longer possible or feasible – in the face of unforeseen change – for L&D to formally design and develop all that will be needed to keep an organization at the cutting edge. It’s time to acknowledge that the learners are active participants in the system, and not just consumers of courses. L&D must move to becoming facilitators and enablers in a sharing economy and provide the right technology, tools and support necessary to allow users to collaboratively co-create value. This will not only enable organizations to tap into the collective wisdom of the crowd but will also move the organization towards becoming a truly learning org. People are at the heart of a sharing economy, and people are at the heart of a community. Organizations can no longer hope to thrive in a VUCA world without enabling the coming together of their people. I have written extensively about building communities in organizations in earlier posts here and here and here, and will continue to explore this theme further this year. The more I reflect, the more I strongly feel that the sustainability of an organization depends on giving up control and letting the network do the work. This fundamental principle lies at the heart of the success of Uber as well. L&D and the organization’s role will be to provide a highly-efficient sharing system and encourage participation. This calls for a radically different kind of thinking where the managers, leaders, L&D and HR – the gatekeepers of organizational resources including knowledge – collectively move over to the role of facilitators who inspire and empower open sharing, conversations, co-creation, and cooperation. Curate from existing sources – Tap into MOOCs, and other existing OERs. L&D needs to don the curator’s hat – a critical 21st Century skill – that requires an ability to seek, sense and share (Harold Jarche’s PKM model) relevant content for a defined target audience. Note that content creation – so far the forte of most L&D folks – is not a part of this. However, curation requires an even greater effort at creativity and an ability to connect the dots, make sense of disparate information, and pull these together to form a cohesive whole. 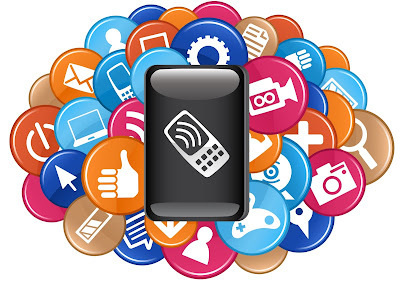 It is not an easy skill to build and requires constant honing, deep diving into the designated area of focus, talking to and following experts in the field, using appropriate filtering mechanism to remove the chaff from the wheat, and then presenting the curated content in a format that will appeal to the end user. Moving from content creation to content curation requires Uber-like thinking – create no asset, tap into networks, connect the dots. I also liken it to developing a service-mindset over a product-mindset. Build a culture of feedback – Uber relies heavily on the ratings provided by users as well as the drivers. This mutual rating system ensures that the standard is maintained more effectively than any policing or management could do. L&D can definitely apply this to how learners/employees rate their experiences of the learning, of the engagement on the community, and encourage feedback. A culture of feedback encourages transparency, highlights inefficiencies, and make improvements an ongoing process. However, organizations with the help of L&D will have to define what constitutes feedback as opposed to baseless criticism, rants, and complaints. Genuine feedback comes with the intent to help improve, provide insight, and either reaffirms a practice or encourages change. The overarching intention is to make better. The ability to give and receive feedback is another critical skill we need to develop to thrive in a world in flux. Make it an ongoing effort – Uberization takes away the comfort of creating a one-time product (a course), launching it, and moving on to repeat the process. Uberization comes with a service-mindset. It is an ongoing effort that should eventually become the new way of doing things. It requires a constant scanning of the ecosystem – within as well as without, and gauging how external changes can impact the organization ranging from the need to re-skill existing workforce to recruiting scarce talent. In summary, the world of L&D has dramatically changed. Just as the rules of business and leadership have changed in the networked era, so has the rules for how to enable employees to deliver with efficacy. The L&D department can no longer sit in an isolated bubble designing courses for skills that are fast becoming redundant. It is time to build an entirely new set of skills in oneself as well as in the workforce. My Top 11 Most-Read Posts of 2015! As the year draws to a close, I want to wish all my readers a joyful, learning filled, wondrous 2016! And I take this opportunity to express my heartfelt gratitude to all who kept inspiring me to write, who continued to support me, and kept me on my learning journey. The year's end always makes us reflective. In keeping with the mood of the day, I thought I would make a list of the posts that garnered the most views and comments and shares this year before moving on to write a new one. Maybe, I should keep the new one for the first day of the new year. Even as I scrolled through my posts, I realized that somewhere along my blogging journey, I have shifted from a pure L&D focus to a more holistic organizational learning and social business focus. I am going to focus more on the latter in the coming year...I'm researching and reading up books, articles, and blogs related to social business, complexity science, systems thinking, disruptive technology and overall organizational development. I'll continue to use my blog as my platform for learning, sharing, reflecting, and ideating. Integrating Social Learning in the Workplace - The post discusses some of the fundamental requirements--both culturally and strategically--that an organization must take into consideration when planning to integrate social learning in the workplace learning blend. Social Learning Cannot be a Bolt-On Strategy - This post, a continuation of the earlier one, highlights some of the key strategic and leadership requirements necessary to make collaboration and sharing a success in an organization. Trust-based collaboration--in turn--leads to the building of an innovative and learning organization. Working Out Loud 101: Some Thoughts - Dion Hinchcliffe, in his Today's Critical Digital Workforce Skills identifies Working Out Loud as one of the key skills. My post designed like an FAQ attempts to address some of the fundamental challenges people face when asked to begin practicing working out loud to share and collaborate. 7 Strategies to Facilitate Working Out Loud - I firmly believe that working out loud will increasingly become a valued skill that will enable teams to stay connected and work together effectively despite the barriers of location and time zones. It will help a distributed workforce and a geographically dispersed organization to bridge silos and tap into the tacit knowledge of a cognitively and culturally diverse workforce leading to a more innovative and resilient organization. This post outlines some of the key strategies that can enable the culture of working out loud in an organization. Workplace Learning in a World Beyond Automation - This post was written in response to an HBR article called Beyond Automation (a must read) that describes the advent of automation through the ages, and talks about the rise of smart machines. My post is an attempt to extend this thinking into the workplace and the impact it is likely to have on the nature of work, learning and human relationships as we move towards 2020. Will the world be radically different from the one we inhabit today? Will robots be our colleagues? How will this impact workplace learning, HR policies, and the nature of the organization? 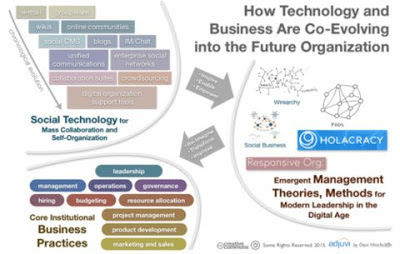 Social Technology, Community Management, and Organizational Development - Written in response to a diagram that Dion Hinchcliffe (yes, he's my online guru for all things social business) had created to show how Technology and Business are Co-evolving into the Future Organization, I have highlighted the role of technology in building communities in organizations. I've gone on to discuss how communities will change the nature of organizations and organizational learning. This is an area I intend to further deep-dive into, explore and write about in 2016. I believe that communities are cornerstones of social businesses and that will be my key area of focus in the coming year. "Digital Mindset": What is it All About? - This post explores what it means to have a digital mindset going beyond mere digital and tech savvy to emphasize characteristics like agility, openness, trust, respect for diversity and comfort with ambiguity and uncertainty. This is one of my personal favorites and again an area I will delve into more often in 2016. The Top 6 Things Organizations Must Do to Enable Emergent Learning - An emergent and VUCA world calls for an emergent learning strategy. This post highlights some of that at a high level. I will be writing more about emergent learning in the context of organizational learning and rising complexity in 2016. Becoming a Social Business: Beyond Culture Change - While the corporate world is abuzz with "social learning," "social business" and all things "social", I have tried to reflect upon and unravel some of the common terms and phrases typically associated with organizations that impact our discourse on social. The very words we use could be influencing and propagating certain deeply-rooted organizational practices that may prove counter-productive to the building of a culture conducive to facilitating a social business. Demystifying Working Out Loud - I often have people asking me about the practices involved in working out loud and what do they imply. This post is a short attempt to highlight what it is and also what working out loud is not. L&D's Role in a Purpose-Driven Workplace - I do believe that organizations will no longer be able to attract or retain valuable and talented employees by just focusing on shareholders' value increase. They will have to articulate a purpose and the intention of a greater social good to thrive in today's evolving and complex economy. The current and coming generation are likely to enter the workplace with a different set of values that will call for a different approach, and possibly a redefinition of what an organization implies. I hope you enjoy reading the posts. I'd love to dialogue with you and hear different perspectives. Our words define our worldview. We use the vocabulary available to us to describe and analyze our experiences and perceptions. The founder of the idea that language and worldview are inextricable is William von Humboldt, the Prussian philologist. The German word Weltanschauung—used to represent the mode of apprehending reality of a community—was first used by Kant and later popularized by Hegel. Weltanschauung represents the collective consciousness of a community of a certain experience. In this context, I had a bit of an epiphany. Over the past few years, the need to become a social business and to promote enterprise-wide collaboration have taken hold in many organizations. The usual approach is to launch an enterprise collaboration platform (technology first being easy to do) and hope that people will engage and contribute with a bit of cajoling and coercing. But a majority of these endeavors fail leading to skepticism and finger pointing. The usual culprits are the hapless organizational culture closely followed by hierarchy and leadership lethargy. We have become accustomed to blaming the culture of an organization for the failure of any initiative, and more so when the change calls for redefining and re-imagining how people work and interact. Before I proceed further, let me clarify that these culprits are not blameless. A fair number of mistakes can be attributed to them. I only want to say these do not invoke the complete picture. We have to dive deeper to understand why organizations across the world – from the Americas to Asia – are apparently making the same mistakes. Underlying this military and manufacturing discourse is an insidious and difficult to pin down aspect – the scarcity mindset – be it of money, skills, information, time, talent, and so on. A world defined by scarcity is driven by the ethos of competition, hoarding, survival of the fittest, suspicion, exclusion, elimination of the other, and fear. These concepts are fundamentally opposed to the principle and values that support cooperation and collaboration – the pillars of social business and authentic communities. As long as our organizations are operating under the principle of scarcity, we will continue to struggle to get people engaged and motivated enough to collaborate. The words we use not only reflect but also reinforce and reproduce the reality. The words become reality. Now, let’s look at the words that come to mind when we thing “community” which has its root in the Latin word “communitas” meaning things held in common. Community elicits in my mind words like commune, abundance, love, wholeness, trust, belonging, authenticity, creation, safety, inclusion… and other similar words. As anyone who has ever been or aspires to be a community manager, we know that these are the emotions that we have to inspire in our users for them to become engaged and collaborative community members. However, the discourse that defines community within organizations get subsumed under the larger discourse of the organization itself which, as I have already mentioned, is defined by scarcity and competition. When the two discourses clash, the larger one signifying the organization as a whole inevitably wins. The words become reality. Let me make a disclaimer. This clash is not the fault of managers or leaders taking the organization forward – in most cases, it is done in good faith. Controls are put in place to prevent information from going to competitors; non-compliance is punished; transparency is censored to prevent general dissent. And we simplistically club all of these under the umbrella of an amorphous and ambiguous culture and dismiss it by saying that “the culture of the organization is not conducive to collaboration”. We have to identify the words that run counter to authenticity, trust and transparency and replace them with a different set of words when speaking about organizations. Words carry their own denotation and connotation and define our consciousness. It might seem like a trivial matter, but it truly has deep implications for the kind of transformation organizations need to go through in order to become authentic communities. Tangible rewards are limited, and hence automatically lead to competition and fight for survival. In contrast, intrinsic motivation, authenticity, trust, and kindness stem from a deeper source of abundance. Organizations need to shift their paradigms and transform at a far deeper level than we are currently addressing. To see real impact, and deep and lasting transformation, we have to attack the root, and reimagine the organizational metaphor. ID Reflections by Sahana is licensed under a Creative Commons Attribution-Non-Commercial-Share Alike 2.5 India License.